On 26-27 May 2015, the 10th European Nuclear Energy Forum (ENEF) meeting took place in Prague. ENEF was created in November 2007. It was initiated by the March 2007 European Council, when Member States suggested “that broad discussion should take place among all relevant stakeholders on the opportunities and risks of nuclear energy.” But difficulty was encountered in bringing all the key actors together. Indeed, civil society wasn’t always consulted as required. Since the beginning of ENEF, over 50% of the participants are from the industry and only two NGOs were initially invited. The rest of the participants are European Commission and national government representatives. During the last five years, this restriction has affected the quality of debate and the credibility of ENEF as a place for discussion among all stakeholders. ENEF is facing challenges to be taken seriously and to shed its image as a pro-nuclear industry forum. ENEF is promoting nuclear energy while there are many related issues to consider: transparency, emergency preparedness and response, radioactive waste, ageing reactors, etc. At the 5th plenary session of ENEF, all NGOs and nuclear-critical members of the European Parliament decided to leave the Forum. This was due to the lack of taking into consideration of civil society’s views in the Forum. Although NGOs got a lot of interesting information and networking opportunities, and got their voices heard by people who normally are not confronted in this way, inputs from NGOs were structurally marginalised. 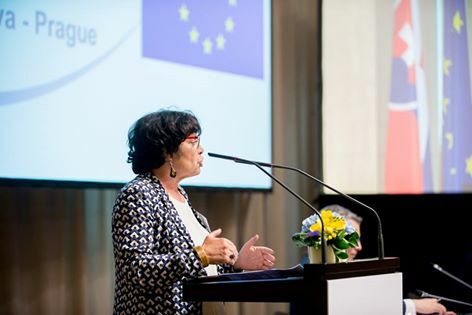 NGOs inputs were not reflected on their merits in papers produced by ENEF working groups, in conclusions from ENEF meetings and in the media coverage. 1) It is essential to clarify the objectives of ENEF. There is a lack of transparency and clarity about the Forum’s objectives: What are the objectives? Is it about promoting nuclear or about creating the conditions for a proper application of EU legislation to the nuclear sector? NTW is not established to promote or eject nuclear energy, but rather to promote quality and transparency of EU decision-making processes and thereby increase safety in nuclear matters. 2) Furthermore, it is necessary to clarify the rules concerning the governance of ENEF. The Forum is still very opaque: How are agendas fixed? Who chooses the stakeholders and ensures plurality? Who appoints the moderators of ENEF meetings and working groups? How are the conclusions and decisions of the meetings made, and communicated? For NTW, a fair balance of power for communication with the media is essential. It is necessary to introduce transparency and to include civil society representatives in the Forum’s governance bodies, which need to be pluralistic. Civil society representatives should be included – on the same terms as all the other stakeholders – at all levels of the ENEF structure and be entitled to participate in the organization, agenda-setting, conclusions and communications of ENEF. 3) Finally, it is necessary to create conditions for effective participation of civil society. It isn’t right that representatives of civil society must fund their travel and do not have access to translations. It is necessary to release resources to finance participatory and equitable governance. These conditions are necessary to ensure that ENEF stays within its original mandate: to be a platform for discussion on the future of nuclear power, without taboos and open to ALL players. It is the only way for ENEF to play a credible role in shaping EU energy policy towards more sustainability. The approach adopted by NTW to organize round tables in the Emergency Preparedness and Response (EP&R) field is one example. It helps to mobilize civil society and the authorities together and to put on the agenda an update of EP&R arrangements. For example in Ukraine, organizing a roundtable on post-accident emergency has gathered scientists, representatives of Energoatom, the Minister of Health and NGOs around the same table. Another example of the effectiveness of public participation is France where participation is based on local information committees (CLIs). The CLIs guarantee access to information and participation of stakeholders such as elected officials, NGOs and trade unions in discussions with operators and regulators. During the stress test process, the public via the CLIs could speak before the release of the French nuclear safety authority report (2012). Proposals and recommendations were supported by civil society. This participation has led to an investment of 10 billion euro in safety. Moreover, these same CLIs are launching working groups on decommissioning and are themselves very pleasantly surprised by the interest of the public on this issue. Concerns vary from one territory to another. Some local actors are interested in safety, environment, waste, issues related to decommissioning, others are focusing on economic and social transition, what decommissioning generates. The local character of these issues has to be taken into account and could be easily supported by civil society. Whatever the field, better debates and decision-making require broad participation. This participation is highly essential today for the European institutions given the growing distrust of the people toward Europe. On the issues of nuclear safety, civil society and local representatives have a fundamental legitimacy and right to participate in the debate.